The members of the Terra Verde team have a long track record of national success in the residential investments and development real estate marketplace, with a significant volume of experience and expertise in the areas of primary homes / production builder markets, as well as the second home luxury lifestyle residential and golf and ski mountain community development. Our land investment experience has included commercial and industrial land, subdivision entitlements, infrastructure and lot sales, resort developments, and mixed-use and master-planned land developments of over 50,000 acres. Over the years, the key members of our team have consistently identified opportunistic real estate investments and land developments and optimized returns to investors. Craig Martin is the founding partner of Terra Verde Group, LLC. and has a track record of over 35 years focusing on recapitalizing opportunistic, distressed and value add real estate assets. Craig has a successful track record of purchasing assets from the FDIC, secured creditors and lenders, Federal Bankruptcy trustees, Joint Provisional Liquidators, as well as public companies and private parties. Prior to forming Terra Verde Group, Craig was the managing partner of several successful large land development partnerships, as well as several golf and ski resort developments. Craig also spent seven years as a senior member of Robert M. Bass Realty of Fort Worth, Texas. At RMB Realty, Craig was active in the underwriting analysis, acquisition, and management of primarily large land development transactions and directed a best-of-class team of outside consultants. 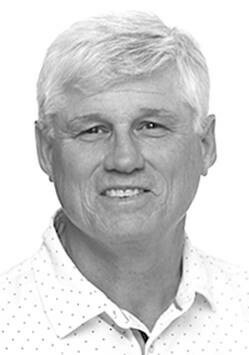 Other past professional accomplishments include serving as managing director of the Landmark Golf Company of Indian Wells, California and managing general partner of the Angel Fire Ski and Golf Resort in New Mexico. 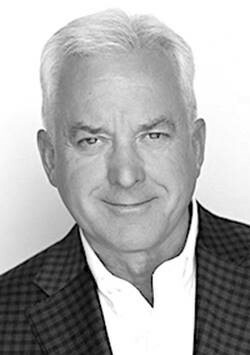 Craig began his career as a real estate investment broker for the Staubach Company of Dallas while studying real estate and finance at the Edwin L. Cox School of Business at Southern Methodist University. Craig is an active full member of the Urban Land Institute and currently serves on the Community Development Council - blue flight, and is an active member of the Dallas and National Home Builders Associations. Craig is the Chapter Chairman of the YPO Gold Dallas Chapter (2016-2017). Craig has also served for seven years on the board of trustees of Liberty Christian School in Argyle, Texas, consistently ranked #1 in the 5A Division of TAPPS (Texas Association of Private and Parochial Schools). Mark joined Terra Verde in February of 2011. He brings a wealth of experience in the development of residential communities throughout the real estate marketplace. Understanding the needs of the client and the steps necessary for creating a service oriented lifestyle makes Mark uniquely suited for the opportunities that exist in this segment of the industry. Although originally trained as an accountant, Mark has spent the past 25 years as a senior executive in the real estate industry. He has a long and successful history across multiple classes of real estate – including development, sales and marketing and the purchase of distressed debt. In each of these areas, Mark has helped create exceptional returns for his partners throughout the various phases of the real estate investment cycle. In 2002, Mark co-founded Traditions Management, LLC, a high end residential sales and marketing company. At Traditions, Mark led the company to sell in excess of $1.5 billion worth of lots and built product while working with some of the leading development teams across the United States, the Caribbean and Mexico. Mark was actively involved in all phases of the development process for projects ranging from the building of high end condominiums for a publicly held REIT to the envisioning of entire communities from undeveloped land. While leading Traditions, he partnered or worked closely with industry leaders such as DMB, Crescent and Kerzner International. Throughout his career, Mark has developed strategic relationships and been a partner or key member of numerous development teams and has worked closely with industry leaders across multiple areas related to community development, including the hotel and golf industries. Prior to co-founding Traditions, Mark was President of IMI Resort Sales. During his three years at IMI, Mark was a key executive helping lead in the selling of over $1 billion in various types of real estate product. Prior to IMI, Mark led in the development of The Chattooga Club, a high end second home community with a world class lodge in Cashiers, NC. Mark has always been active in the communities in which he has lived having served on multiple committees and boards. He is also a member of the Urban Land Institute. Originally trained as a physician, Mike Aiken has spent the last 30 years as a private investor or senior executive in a wide cross section of publically and privately held businesses. He has a thorough knowledge of the financial markets, including both debt and equity and has been a principal, investor or advisor across industries ranging from health care to real estate. Mike co-founded Traditions Management in 2002, and as Chairman, Mike led the company in areas including corporate finance, organizational structure and strategic planning. His financial, legal and investment banking relationships have helped position the company and it's developer partners to successfully build, market and sell in excess of $1.5 billion worth of real estate product across a variety communities, both inside and outside of the United States. Prior to co-founding Traditions, Mike spent several months as a consultant at IMI Resort Holdings and worked closely with the principals and key executives. Mike has been a senior executive in a variety of businesses - he was Chairman and CEO of HealthStream, a dental insurance company, from 1983 until 1993; was Founder, Chairman and CEO of HealthCorp, a regional chain of hospitals, from 1987 until 1993; and was Chairman and CEO of Integrated Distributors, a “roll up” of plumbing and HVAC companies, from 1998 until 2001. Mike has served on a variety of industry and related boards throughout the years. Andre brings a considerable variety of entrepreneurial and corporate experience to Terra Verde, much of it coming from investing in and operating multiple business entities. Trained in microbiology and business, Andre worked as CEO of several food manufacturing and distribution entities through the 1980’s decade. By the 90’s, his efforts and investments had shifted to an affinity marketing company, Cooperative Marketing Concepts, Inc., which evolved into an off-shore business process outsourcing firm, ePerformax International Inc., by 2002. Andre brings a 30+ year history working with executive teams as either chief executive, chief financial, or chief information officer. Throughout his career, Andre has maintained a sub-specialty of private real estate investments, beginning over 25 years ago with a light industrial business park in Wilmington, North Carolina. This long-term commitment to real estate has brought with it the experience of multiple business cycles and the opportunities that emerge from them. Andre joined Terra Verde in 2012 to add his experience in operations, corporate planning and financing to the team. He continues to serve on several corporate boards of privately held operating companies and charitable organizations. Lisa Reynolds is a seasoned real estate executive and investor with 17 years experience as a senior executive in the industry. Her successful background includes executive management positions directly involved in a wide range of industry components, including operations, finance, capital raising and DIP financing. Prior to joining Terra Verde, she was the Senior Vice President and Chief Operating Officer of Traditions Management, where she managed all aspects of the financial and business operations of the company, playing an integral role in the sale of approximately $1.5 billion of real estate product. Prior to joining Traditions, Lisa held finance and accounting positions for a private management company making multiple investments in both public and private operating companies and held a senior position in a private high-end residential development company, managing all aspects of the business operations, and securing financing for both business acquisitions and real estate development projects. John Ohanian began his career with Peat, Marwick, Mitchell & Co. as a CPA. He became involved in real estate development projects in 1976. In the course of his real estate development career, he has developed office buildings, over 4,000 residential units, over 175 restaurants and several master planned communities including over 40 golf courses and well over 30,000 planned residential units. John was responsible for the assemblage and acquisition of the 6,741-acre Oak Valley property when Landmark Land Company originally acquired it and serves as its project director. He also supervised the original entitlements for the property and was responsible for the construction of the Oak Valley Golf Club. A partner in Geneva Holdings, John has played a key role in structuring the acquisition and development of Talega of San Clemente, an approximate 4,000-unit golf development in the City of San Clemente, California. He was also responsible for all aspects of the highly successful Crosby Estate golf community in Rancho Santa Fe, California. Vincent began his career in public accounting where he was involved with both the audit and tax side. During this time, he was exposed to a large number of commercial and international clients, gaining valuable insight into the industry. He later joined a private construction firm where he managed various aspects of business operations and development projects. Vincent joined Terra Verde as a Financial Analyst in 2016 upon receiving his M.S. in Finance from The Vanderbilt Owen Graduate School of Management.